Fight damaged, dry and frizzy hair with the Sebastian Professional Drench line. With an intense, nourishing formula that rehydrates dry, frizzy and chemically treated hair leaving it shiny, nourished and brilliant. Drench Moisturizing Shampoo - 250ml - $15.75 - nourishes and hydrates dry and chemically treated hair with an intensive a nutrient rich formula that eliminates frizz while protecting the hair leaving it clean and soft. Drench Moisturizing Conditioner - 250ml - $15.75 - nourishes and rehydrates dry, frizzy and chemically treated hair with nutrient rich, colour-safe ingredients that invigorate and revitalize while untangling hair and leaving it looking silky. 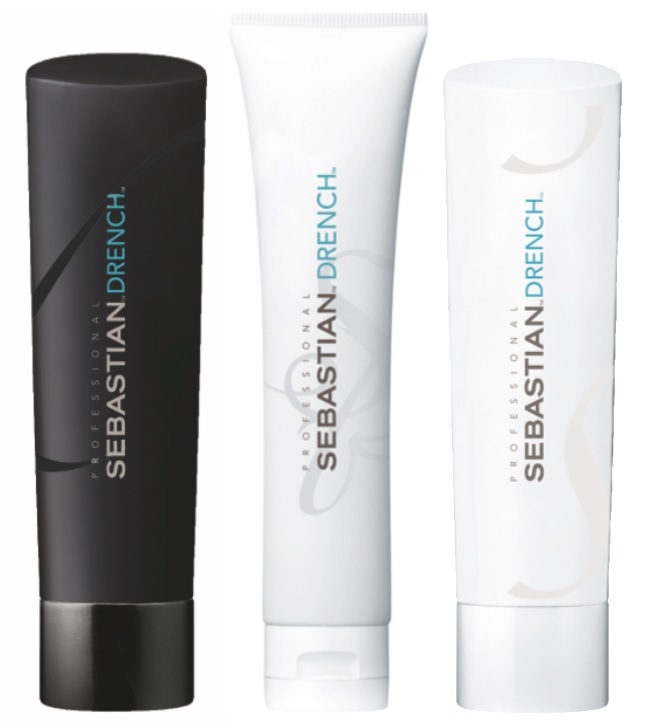 Drench Deep-Moisturizing Treatment - 150ml - $16.95 - a twice-weekly treatment that dramatically controls frizz as it deeply nourishes dry and unruly hair with a formula that reinvigorates hair, leaving it hydrated and healthy with movement and suppleness. Available now at professional hair salons and boutiques across Canada.